Well, we’re on the other side of Christmas and on the cusp of New Year’s Eve. Is everyone hanging in there? Things have been quite busy on my end of the furniture painting world. I haven’t posted many official makeovers because (like everyone else) I’ve been super busy. 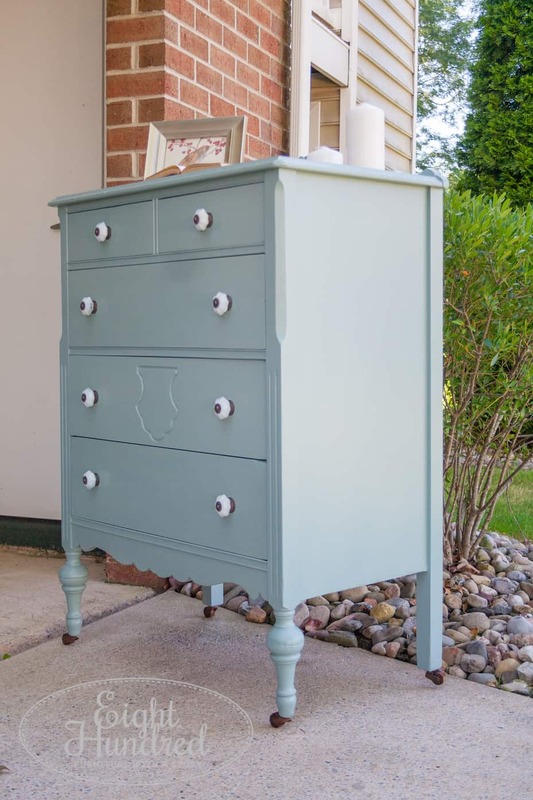 My time has been spent cranking out furniture projects, moving pieces, and doing freelance work for Miss Mustard Seed’s Milk Paint. Plus, my camera was being cleaned so I couldn’t take any pretty pictures. Despite all of that, things are still working away over here at Eight Hundred. Yesterday, I got an email from one of my Instagram followers asking for tips on picking furniture pieces. As I was replying, I thought, “This would make a good blog post!” So without further ado, here are my tips and answers to FAQ’s when it comes to all things furniture. The links contained in this post are not affiliate links. I have not been compensated for mentioning the places and products that follow. 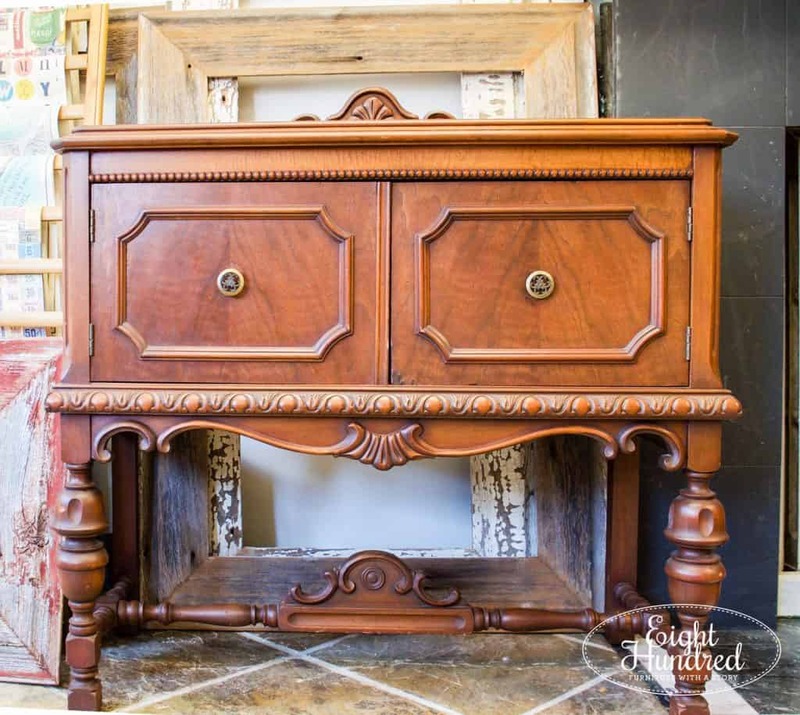 My suggestions are solely based upon my personal preferences and my experience in restoring furniture. I go everywhere for furniture. When I first started painting, I frequented Goodwill and my local Habitat for Humanity Restore. My budget was small, so I needed cheap. I didn’t do many yard sales because I only had a sedan at the time. I wasn’t able to take pieces with me right away, so I needed to shop where I could come back and pick up with a bigger vehicle. 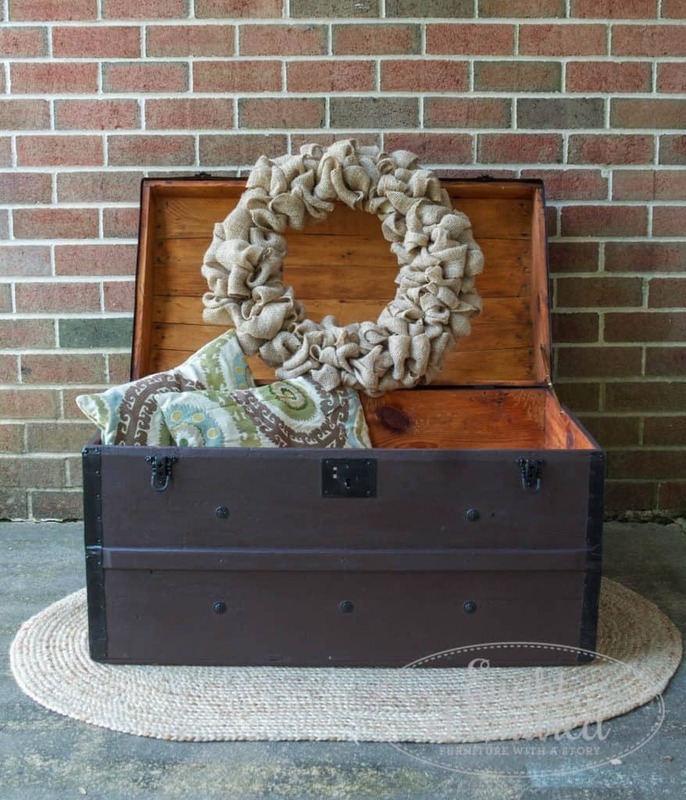 Despite my early limitations, I scored some great pieces like this one from Habitat. People also gave me furniture they didn’t want anymore. As long as it was sturdy, I painted it. I didn’t care too much about the shape or style. If it was free, I took it! 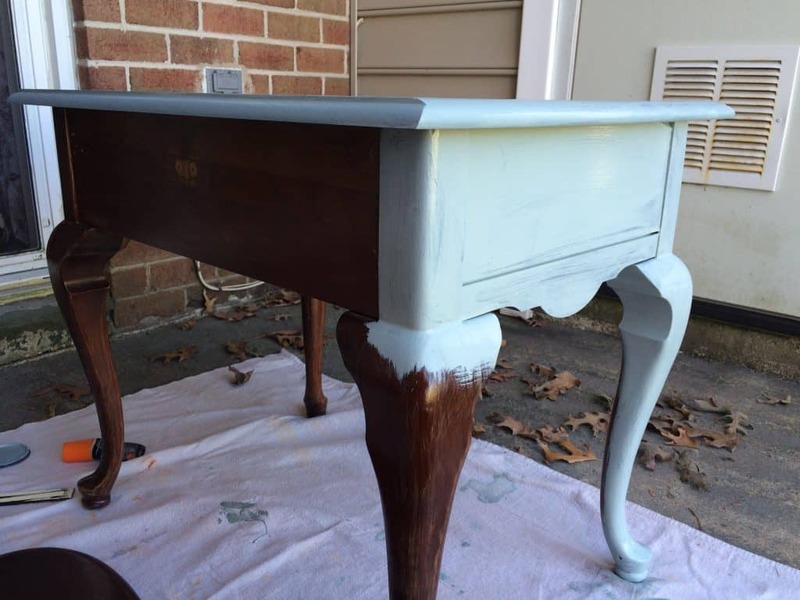 This Queen Anne side table was my Mom’s and I gave it a Persian Blue makeover using General Finishes’ Milk Paint. Nowadays, I’ve added Craig’s List, Facebook yard sale groups, antique shops, and used furniture stores to my repertoire. I started to buy at auctions but I found that I would often wind up in a bidding war with antique dealers who had a much larger bankroll. You see, I would bid per piece and I had a set limit. Once I reached the limit, I was done. They were able to go up as high as it would take to get the piece because over the course of the night, they would buy thousands of dollars worth of furniture. They would spread their costs out over 20-30 pieces while I needed a deal on just one. Some auctions also have a buyer’s premium, which means that you have to tack on a certain percent to the price of the item you just won. For example, an auction with a buyer’s premium of 15% means that if you won a piece for $20, you would need to pay an additional 15% of that $20 when you settle up at the end. Sometimes that’s worth it to get an amazing piece of furniture, but I haven’t been to an auction in a few months and I’m making out just fine. With all of that said, I’ve gotten some fabulous pieces for reasonable prices at auctions. 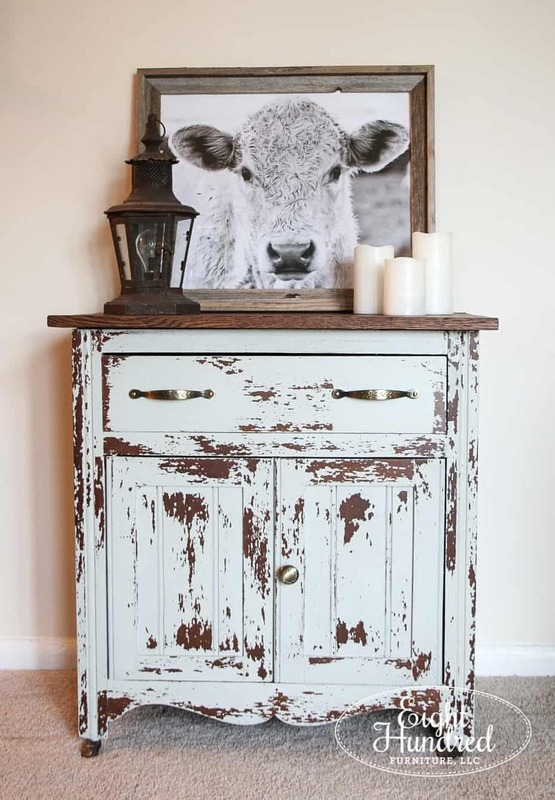 My budget for pieces of furniture depends on a few factors including the size, quality, construction, and age. 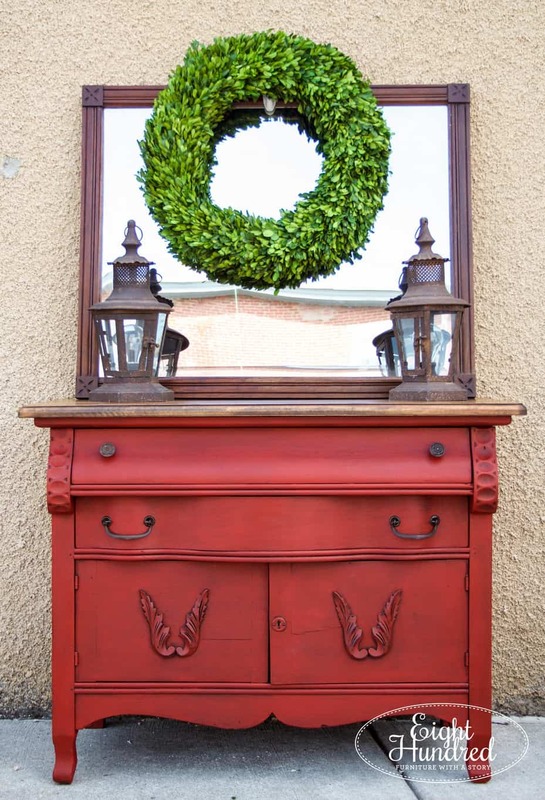 I’ll pay more for amazing and unique pieces that are old and in incredible condition, and less for more plain, run-of-the-mill furniture. This may sound obvious, but my budget also depends on how much money I have to spend. Some months are leaner than others, so my budget has actually been $10 or less at certain points. I’ve still been able to find pieces for that amount! Here are my typical maximums, but these vary quite a bit. Again, these are really loose numbers, but as you can see, I typically don’t spend over $200. I just don’t have that kind of buying power yet, but I find that I’m still able to get beautiful projects within this budget. The very first thing I do when considering buying a piece is to check the structural integrity. Just ask my husband. He’s seen me shake, shimmy, open, close, and lay on my back to check the underside of any potential prospect. I always pull out the drawers to check out the joinery, specifically looking for dovetail or Knapp joints. 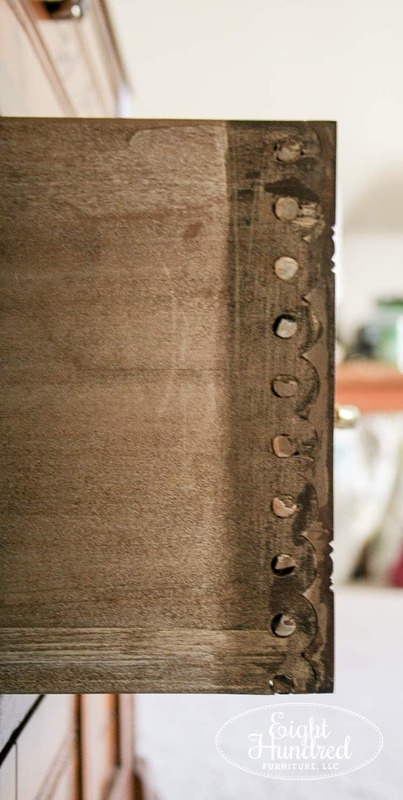 If you find a Knapp joint or hand cut dovetails, that means the piece is pretty old! Here’s a Knapp joint. These were used on pieces between 1871 and 1900 (source). 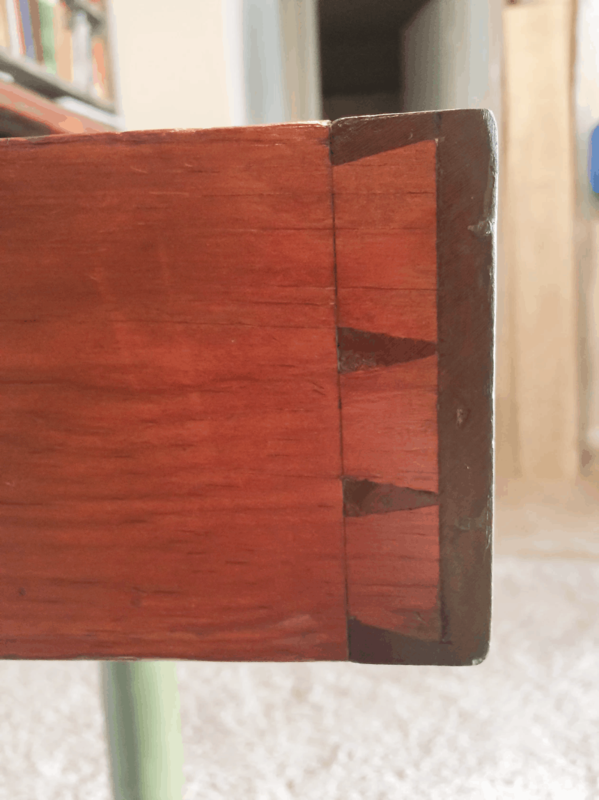 You can tell these dovetails are hand cut because they are uneven and rather skinny. I also make sure the drawers slide easily, the runners are in tact, and the bottoms aren’t damaged. Some drawers require a tiny bit of TLC, but others are so far gone that I pass over the piece entirely. I don’t have access to saws, routers, or lumber so that limits the extent of the structural repairs I can make. I also open all the doors and make sure they sit flush against the front. Do they close easily? Are the hinges broken? If not, it’s OK because these are minor fixes. This mostly helps me asses everything the piece will cost to revive. I have come across a handful of complete and utter stunners in the past that needed repair work that was completely outside my skill set. With a sad heart, I skipped over them. In the past, I’ve gotten myself knee deep into pieces that practically needed to be rebuilt and I wound up losing money, so I definitely learned my lesson the hard way. Now, I steer clear of any pieces that are too far gone. 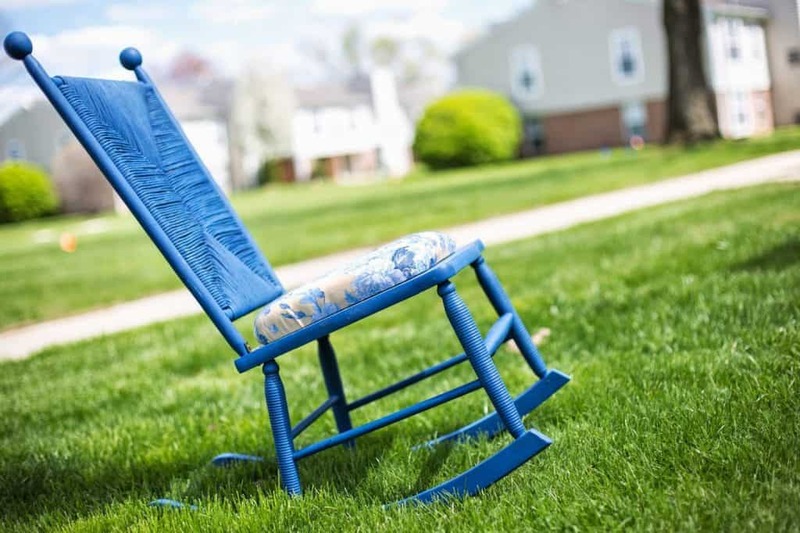 For example, I got this rocking chair for about $15. The back was wicker but it was completely destroyed. I got it into my head that I could re-weave a new back for it. 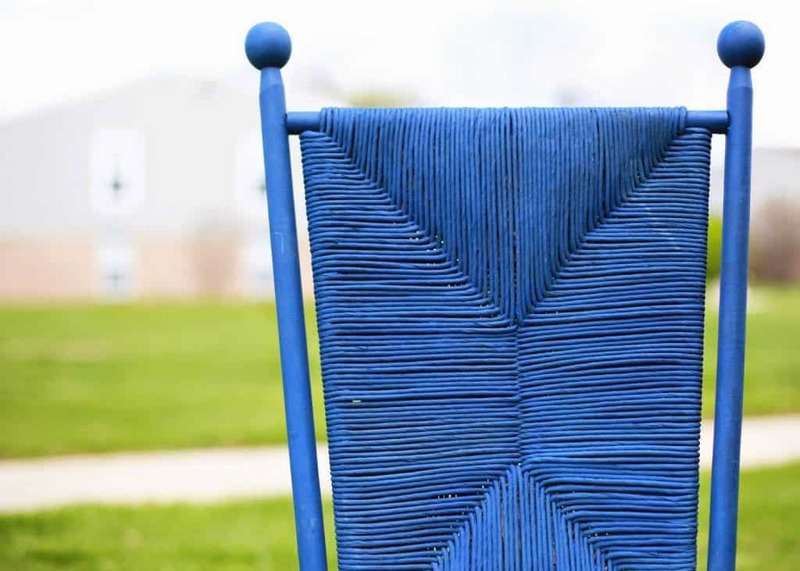 I quickly found out that I had no idea how to weave anything, let alone a new wicker back. 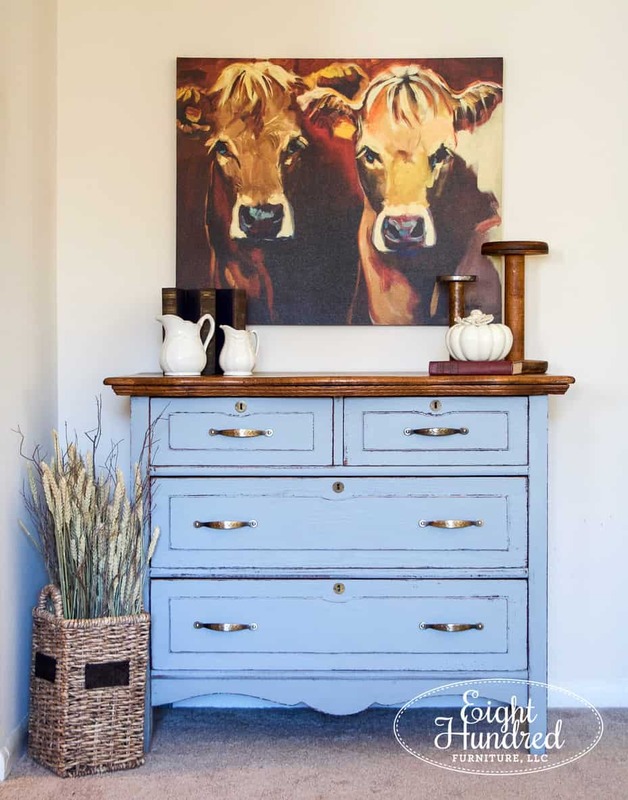 I wound up paying a professional to do some rushing, which turned out beautifully but it more than quadrupled the cost of the piece itself and the sale was a total wash. I also never buy laminate, mdf, or particleboard. That includes Ikea style furniture. Not that I have anything against Ikea, but 9 times out of 10, I choose wood pieces. 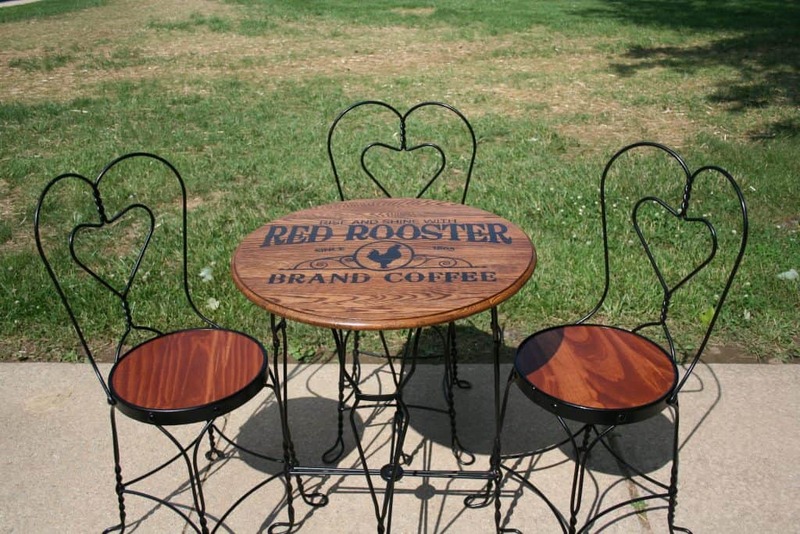 Wood is sturdy, can be sanded and stained, and it paints like a dream. 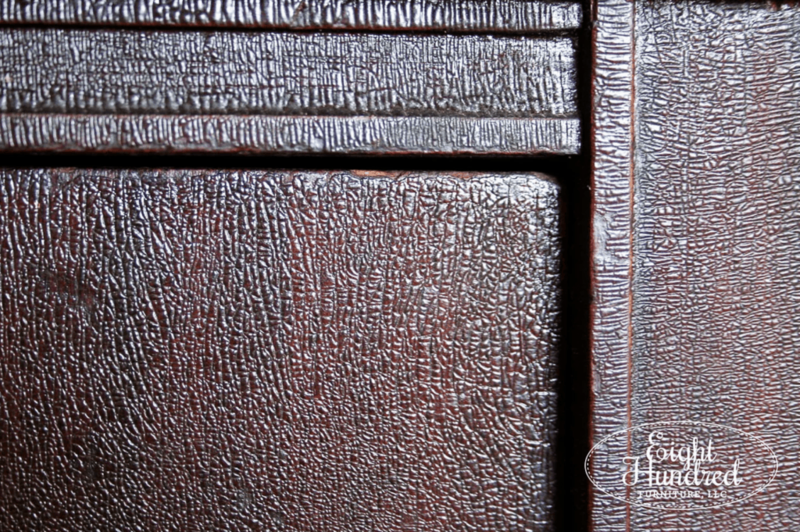 I also like finding pieces that have a texture to their original finish. If they’ve been exposed to the elements, sometimes you’ll feel an alligator-like bubbling. 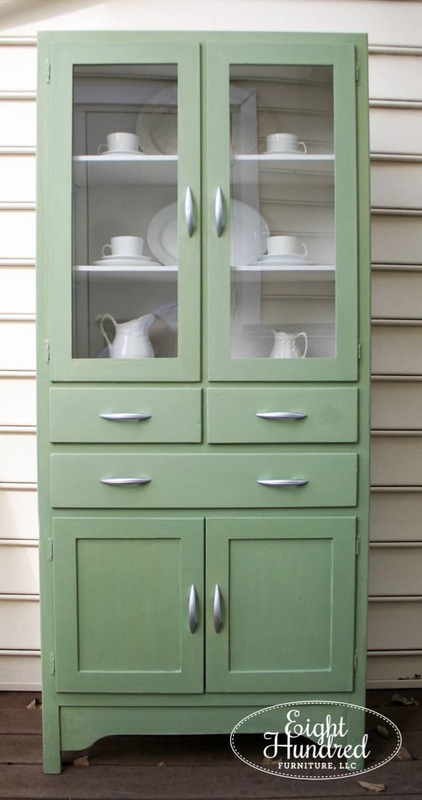 The non-wood projects I work on tend to be those retro style 50’s cabinets with the chrome handles. I try not to pick pieces that already have paint on them. At first I did, but over time, I’ve learned that underlying coat of paint can cause a LOT of trouble. 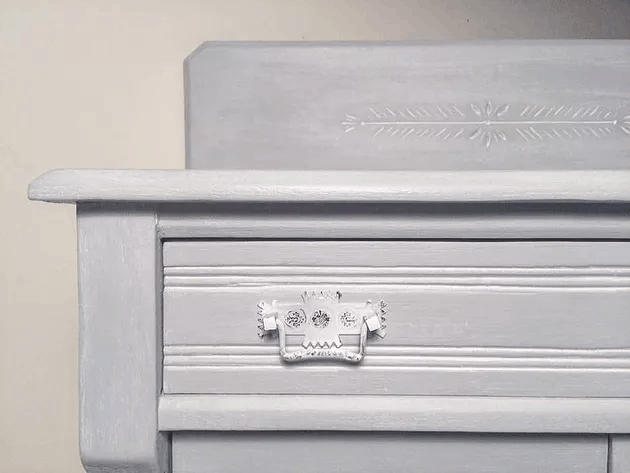 For example, I just finished a Victorian Eastlake washstand that was painted in a white latex first. It turned out pretty well, but the brushstrokes and drip marks that were already there had a slight impact on the finished paint job. What Kind of Products Do I Use? 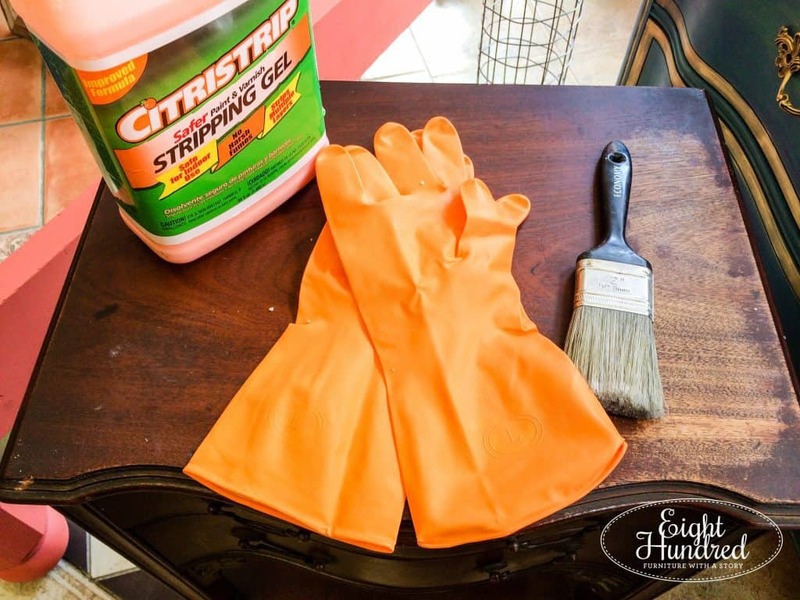 Citristip is my go-to chemical stripper. It smells like oranges and it’s safe to use indoors. 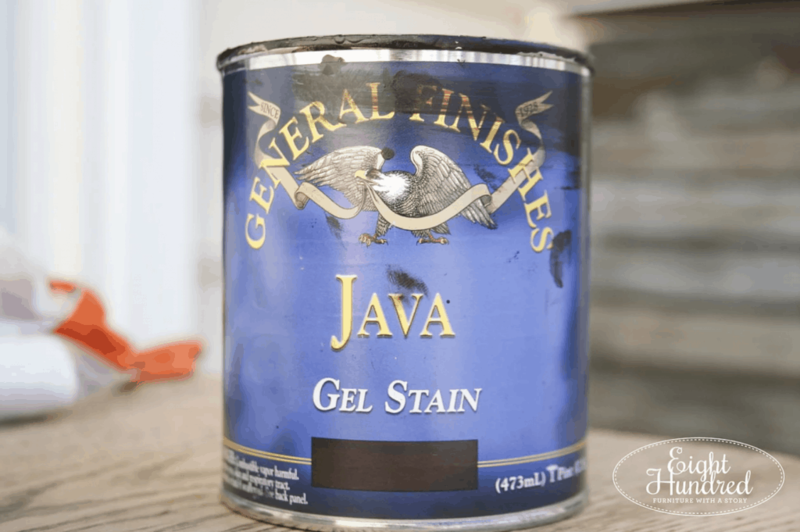 I absolutely love General Finishes Java Gel Stain. It covers a world of imperfections and provides a dark rich color. 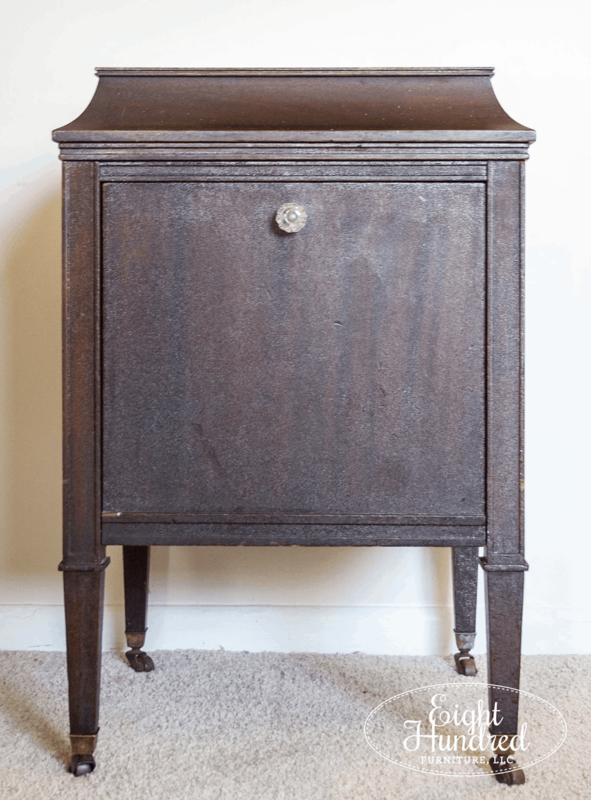 Here’s a washstand that I refinished using Java Gel Stain. I also like using General Finishes’ topcoats. I’ve refinished wood tops in Flat Out Flat, Satin, and Semi Gloss. All have provided wonderful results. 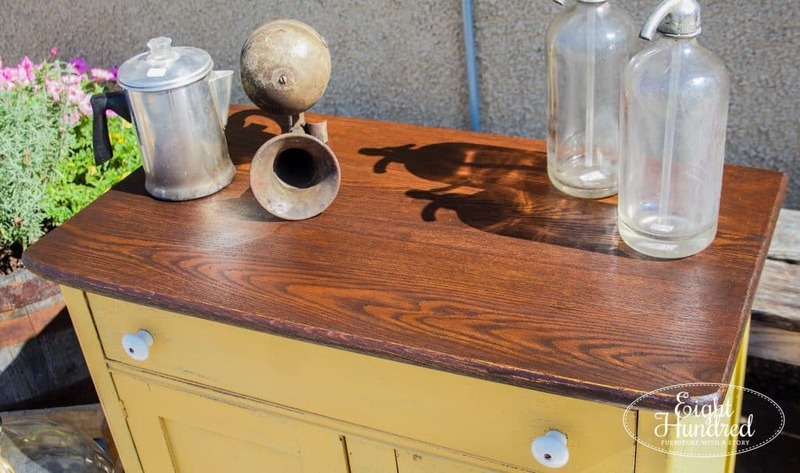 I’ve also used their Exterior 450 for outdoor projects, like this vintage ice cream set. 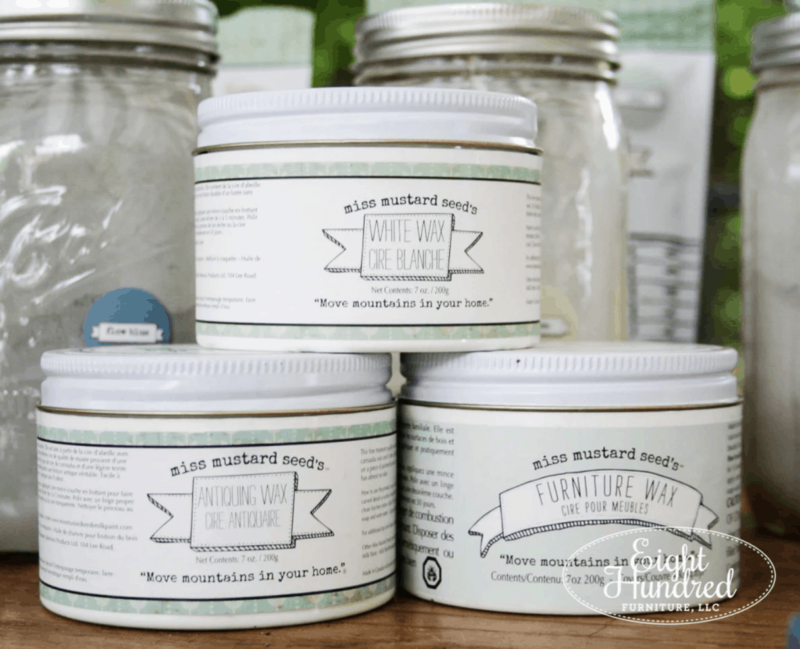 My favorite waxes are from the Miss Mustard Seed’s Milk Paint line. They are soft and super easy to apply. If you have wax phobia, I highly recommend using them for your next project. 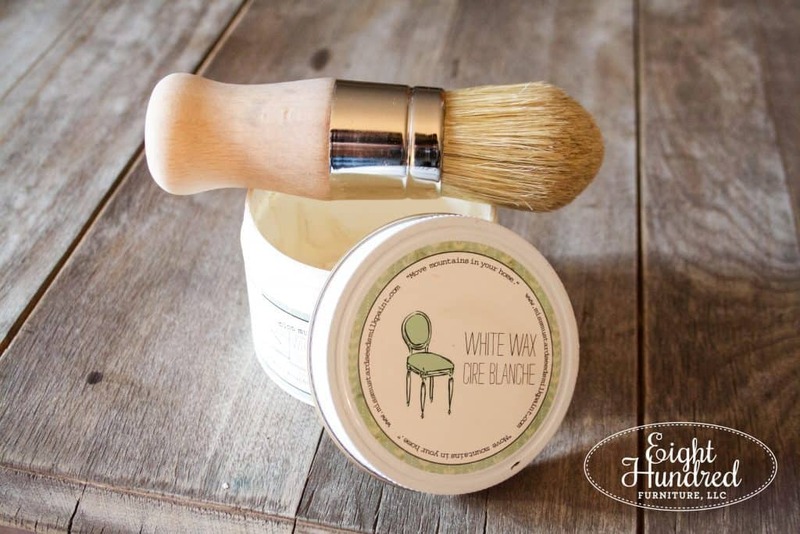 Oddly enough, I like using Annie Sloan’s wax brush to apply wax on my pieces. The bristles move everything around better than any other brush I’ve used. It also doesn’t fall apart like cheaper options I’ve purchased in the past. I literally bought a $25 brush and the bristles completely separated from the handle less than a month later. While Annie Sloan’s brushes are expensive (mine was $56), they’re totally worth the investment. 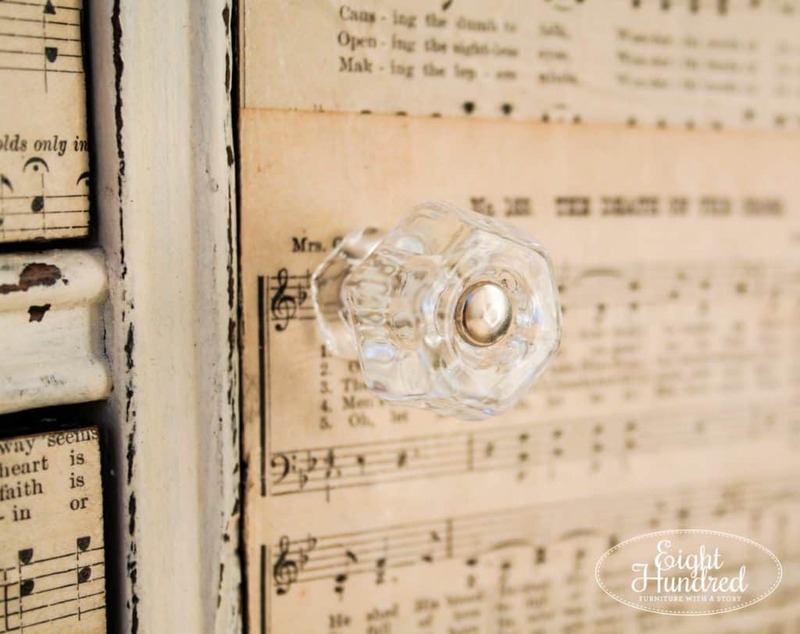 I’m obsessed with using Miss Mustard Seed’s Hemp Oil to hydrate any old pieces that need a little love. 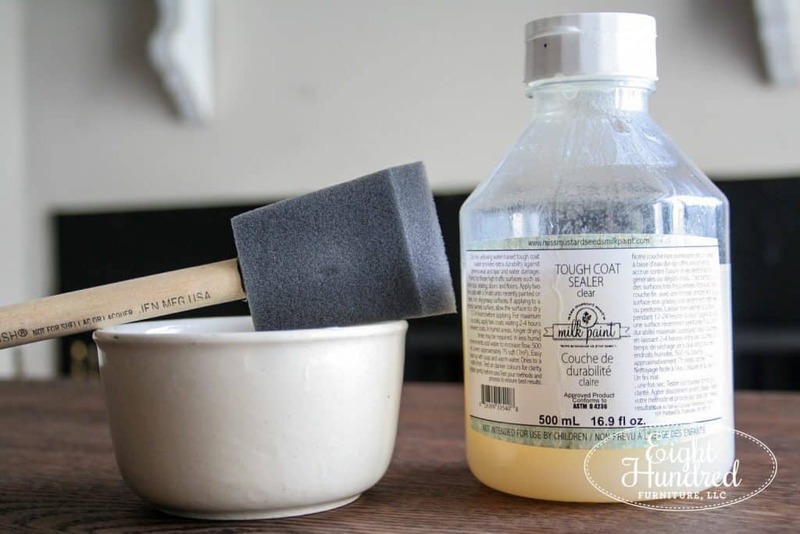 I use it on metal, leather, wood, and painted surfaces. This product is an absolute essential in my toolbox and I buy it by the GALLON. 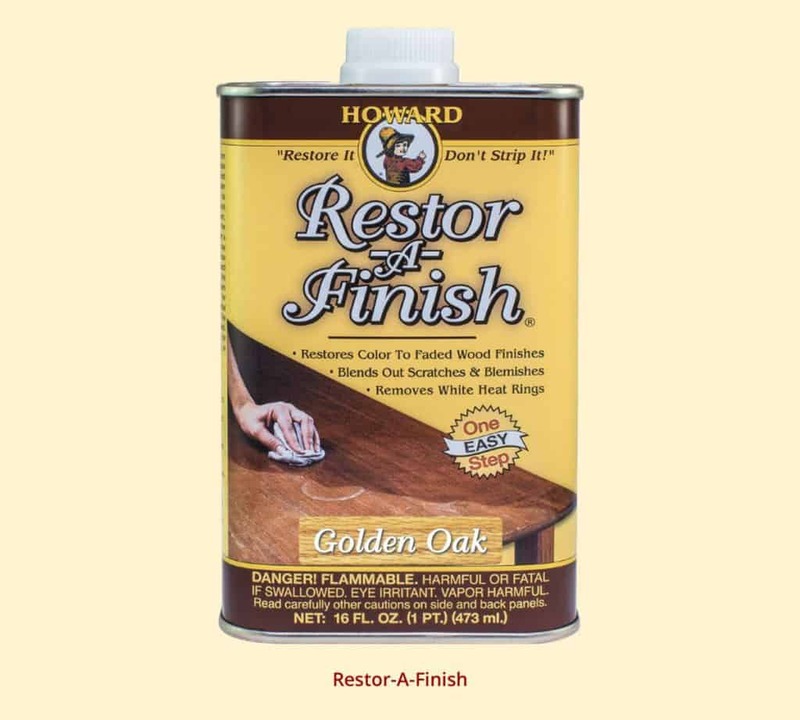 I’ve also started using Howard’s Products for my furniture refinishing needs. 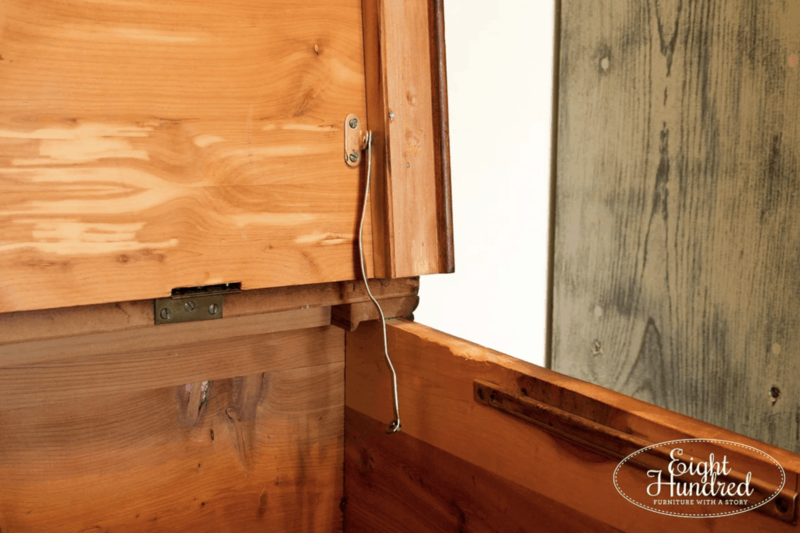 If I have a wood top that’s not terribly damaged and doesn’t need a complete overhaul, I rub their Restor-A-Finish on and it makes scuffs, heat rings, watermarks, and minor damage completely disappear. I follow up with their Feed-N-Wax to keep the surface looking lovely. That’s all this Eastlake Washstand needed. Even though this product isn’t in the oil family, I still include it because I mostly use it as a sealer. 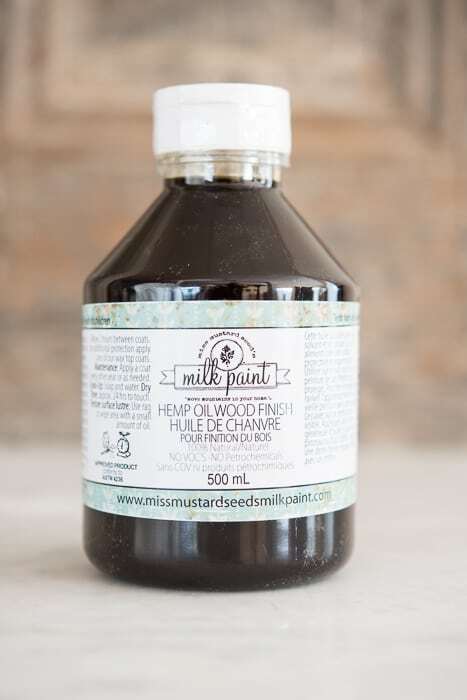 Miss Mustard Seed’s Tough Coat is my absolute go-to when I want to seal in chipping paint. It’s non-yellowing and has a matte finish, so you hardly notice it’s there! 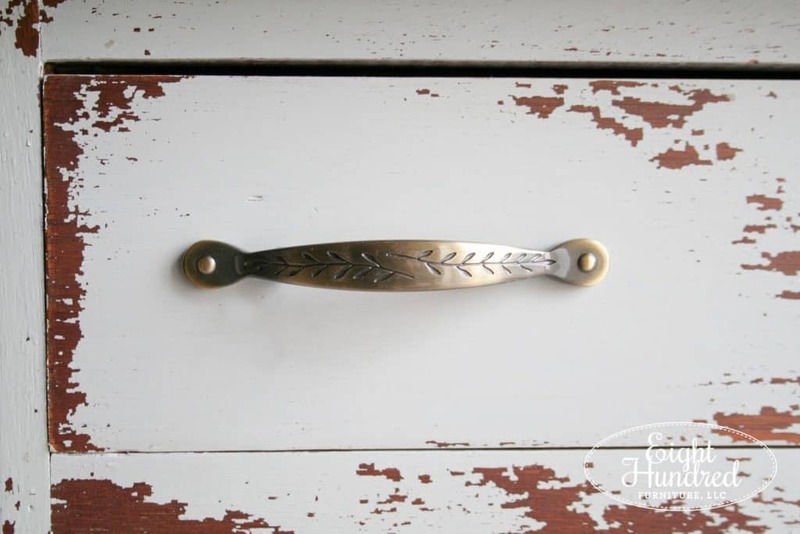 I used it on my Mora washstand to seal in my chippy look. Shopping for hardware is super fun but it can get expensive really quickly! If I can’t find what I’m looking for at my local hardware stores, I hop in The Marshmallow and drive over to my local Hobby Lobby. 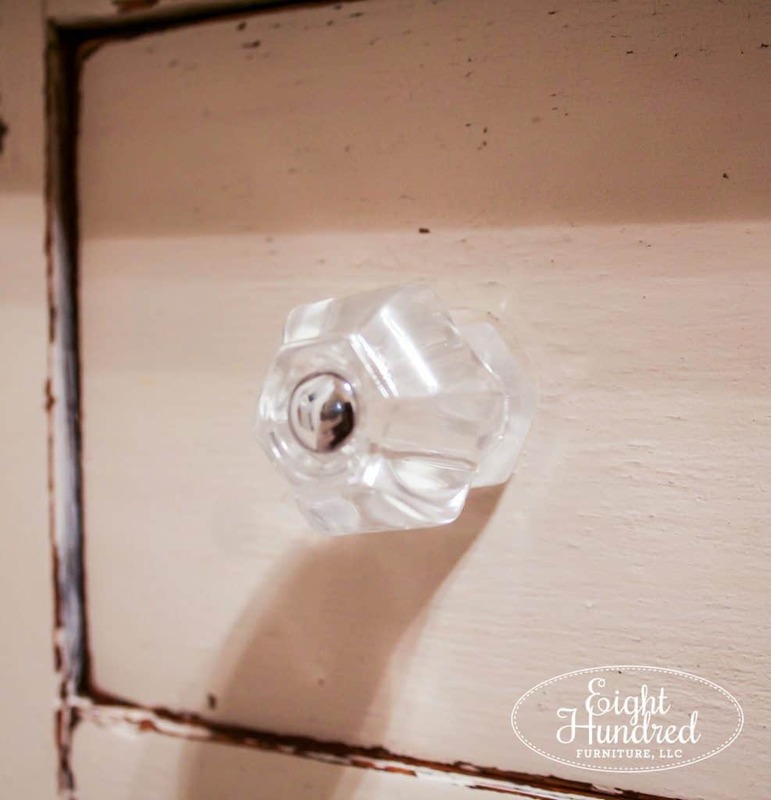 If I strike out there, I use House of Antique Hardware. 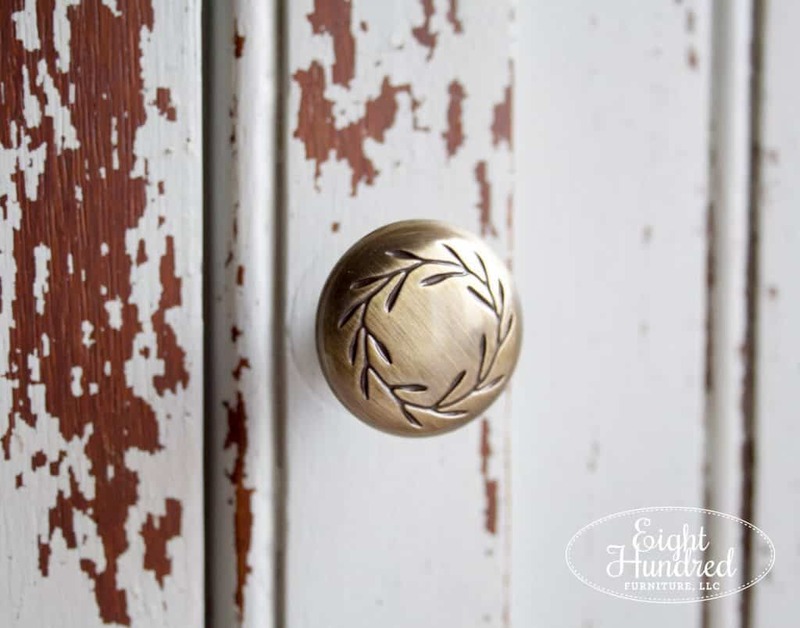 This knob has matching handles and I got both at Ace Hardware. 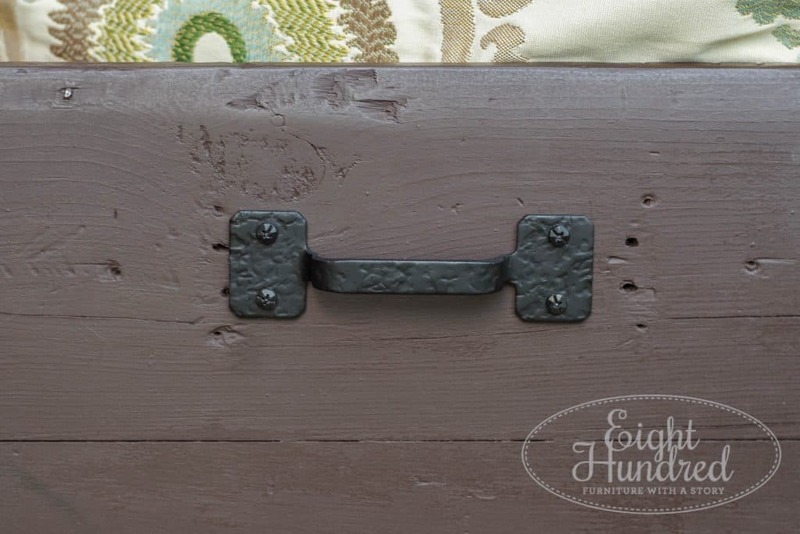 I got the handles for this trunk from House of Antique Hardware. While this list of products and resources isn’t exhaustive, it gives you an idea of the products I use on a regular basis for my pieces. I hope my tips and suggestions help you with your beautiful makeovers!